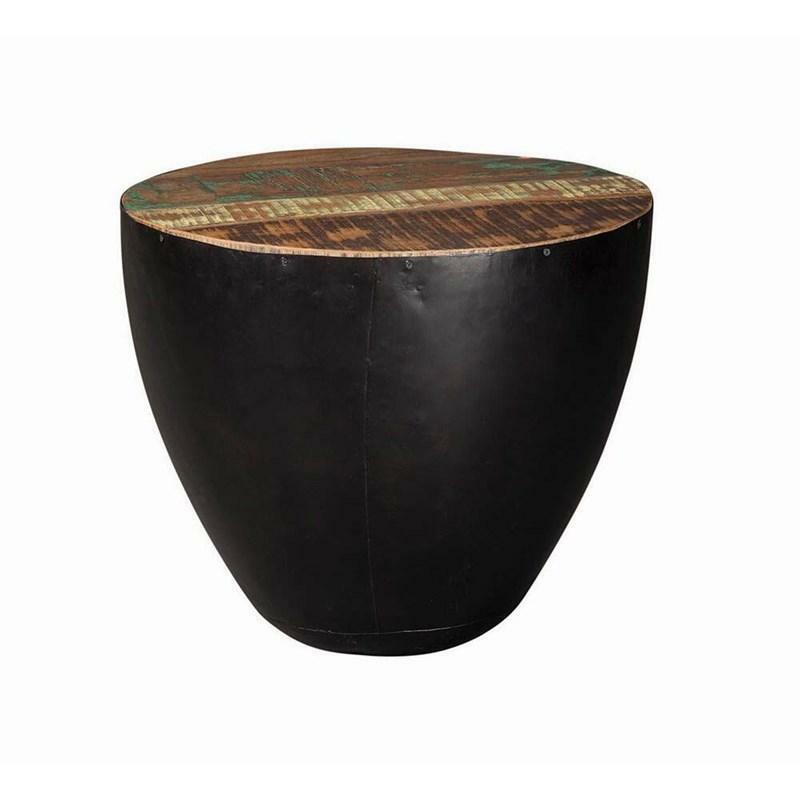 This fun handcrafted End Table from the Roots collection by Scott Living will make a gorgeous addition to your living room. 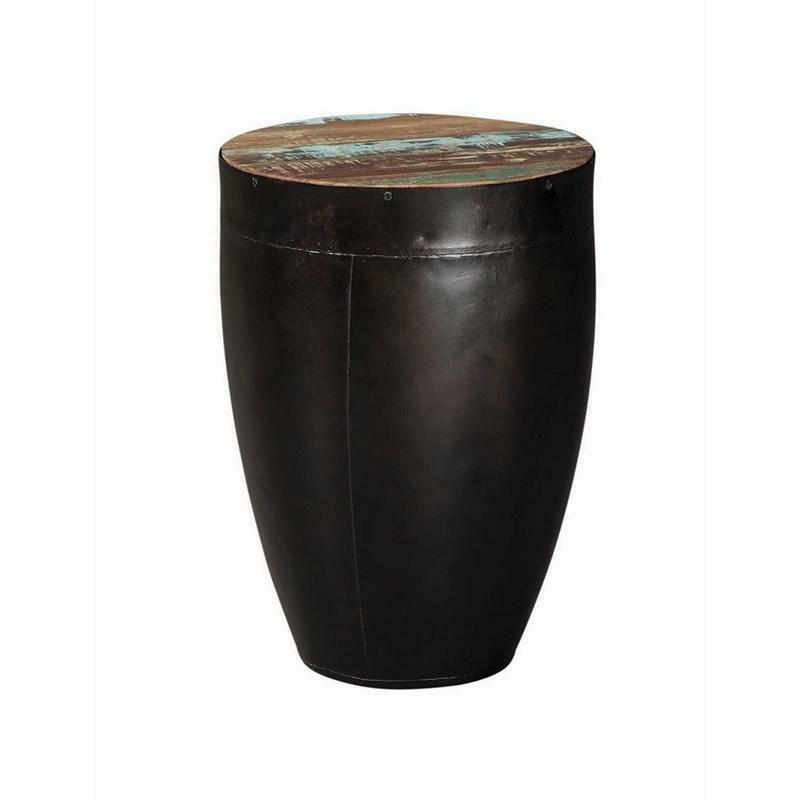 It features a drum-shaped base in a black iron finish and a natural reclaimed wood top. Volume 3.83 cu. 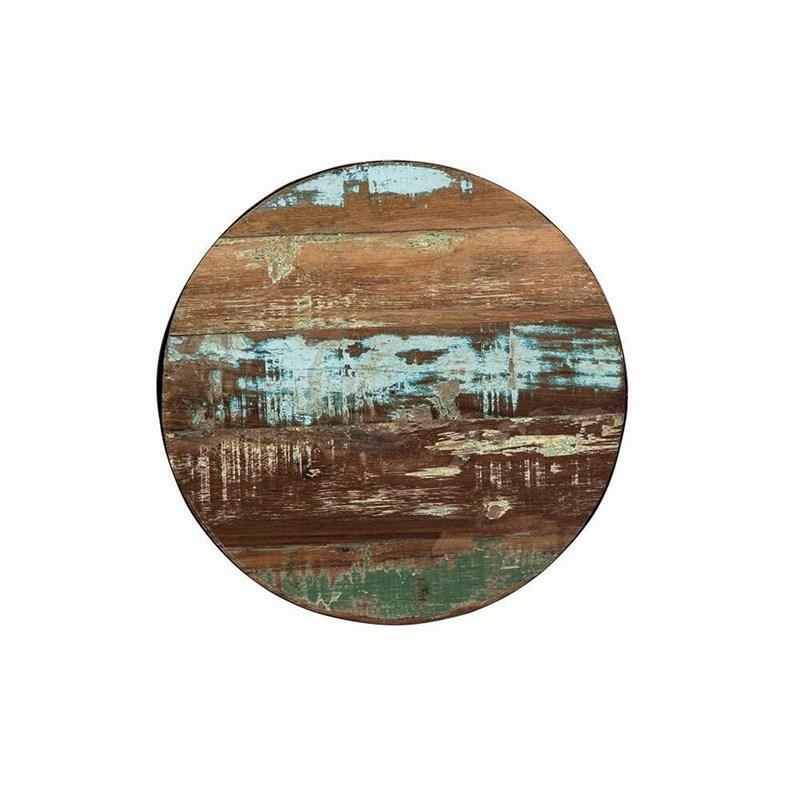 ft. / 0.11 cu. 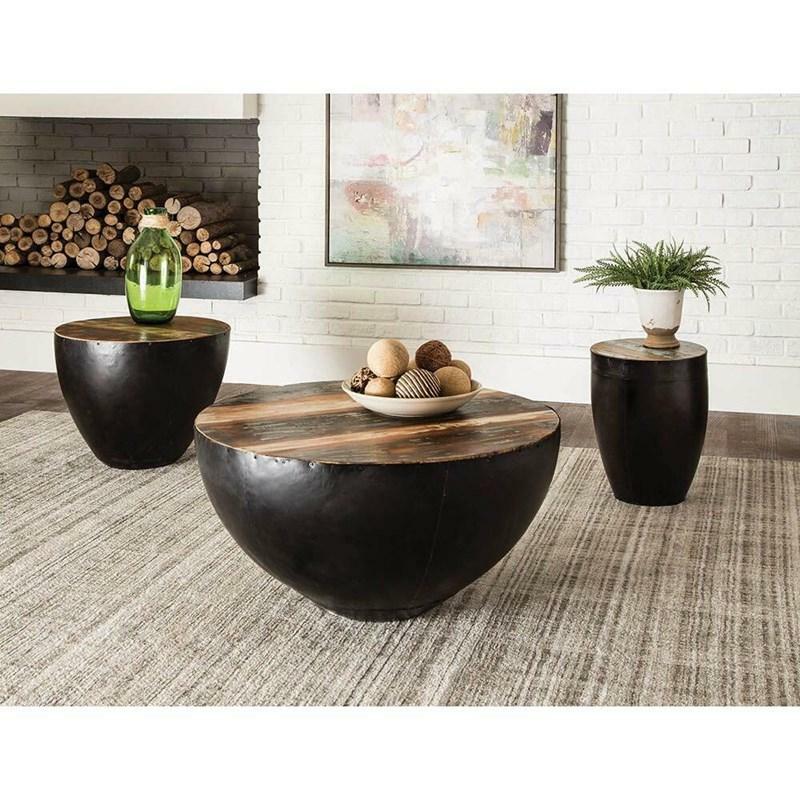 m.
This fun handcrafted Coffee Table from the Roots collection by Scott Living will make a gorgeous addition to your living room. 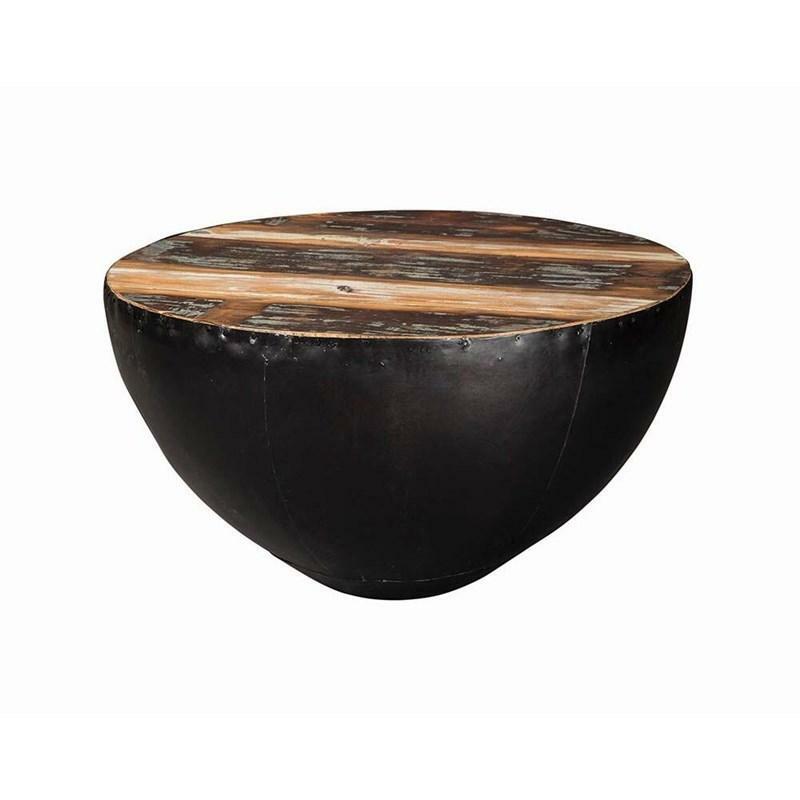 It features a tapered drum-shaped base in a black iron finish and a natural reclaimed wood top.